No more samples or subdivs. 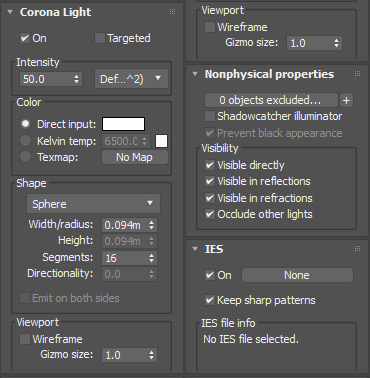 It’s time to explore the individual aspects of Corona, and we’ll start where it all begins, with lights. The whole process of creating lights is designed to give artists complete control over their scene, while being fast and intuitive. There are no sampling parameters that you would have to set by trial and error. Lights will always work as expected. 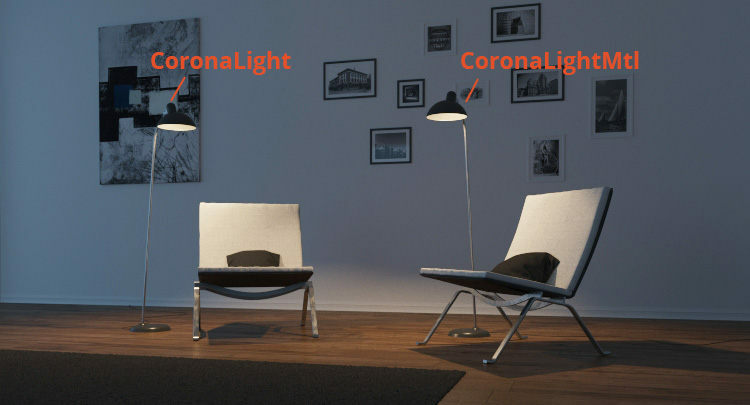 There is no difference in behavior between a Corona Light object and a geometry object with the Corona Light Material applied – both of them have almost the same options and deliver the same results, so it is up to the artist to use what is more convenient! In Corona, there is very little penalty for using mesh lights which have a high polycount. They will perform as well as low–poly ones with the same shape. Also, directional and IES lights render almost as fast as regular diffuse lights. 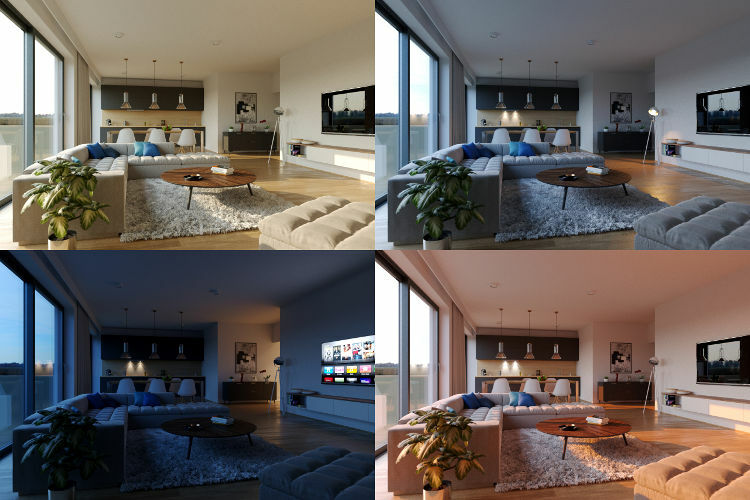 There’s no need to set up an object to act as a dome light for HDR image–based rendering – just put your HDRI into the 3D software’s environment and you are done! There is also no need to put downsampled / blurred versions of the map into a GI override slot – HDRIs in Corona always work fast and without splotches, regardless of resolution or complexity. Corona Renderer was the first production render engine to implement the most accurate sky system available today – the Hošek-Wilkie sky. It is currently selected as the default whenever sun and sky is used, so adding those to your scene will get you instant realistic daylight. With just a single click, you can set up the Interactive LightMix, a feature unique to Corona Renderer that lets you change the color and intensity of lights during or after rendering. 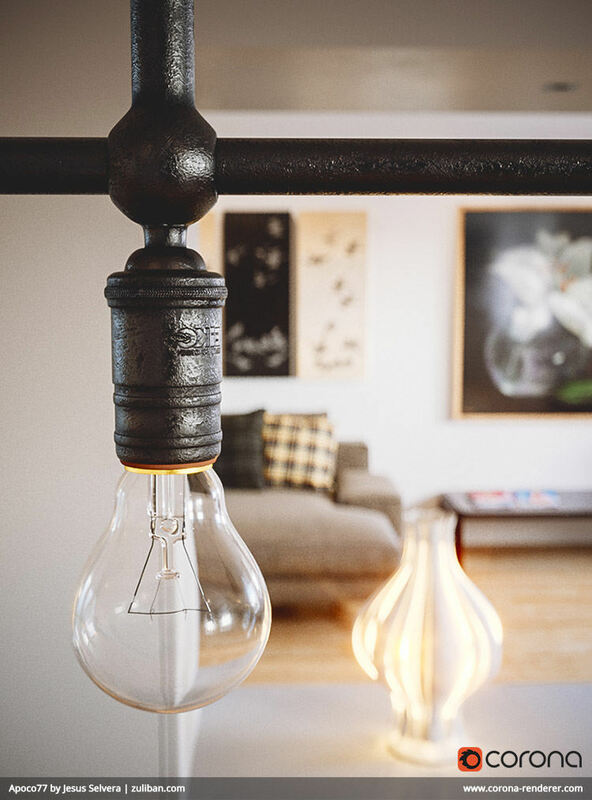 You can then save your LightMix setups for reuse from any camera or render location within the scene, letting you render just one time and save versions of the render with different lighting. 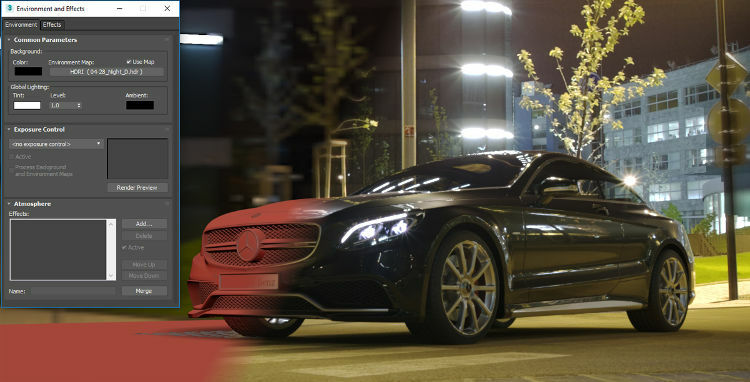 With this, one render can give you a daytime scene, a nighttime scene, different lights turned on and off, and more. You can also save the separate light passes for compositing or animating later in post-production, which means a single frame can be turned into an animation where the lighting changes.